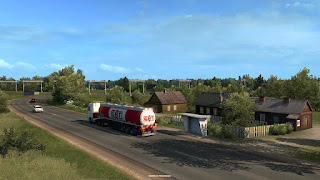 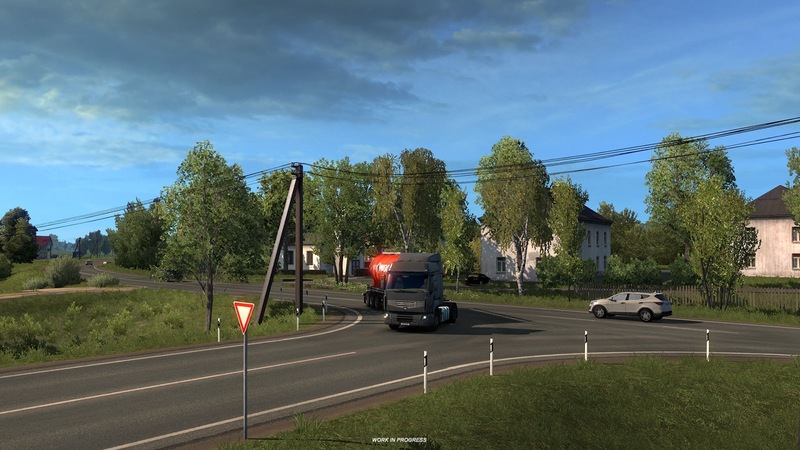 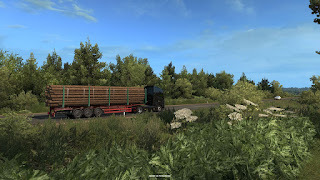 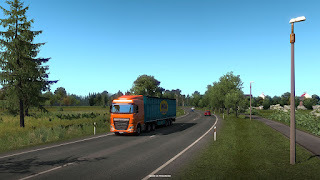 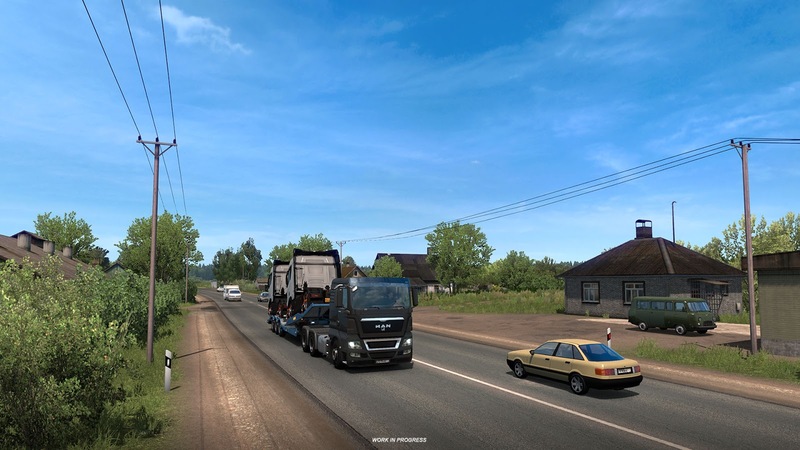 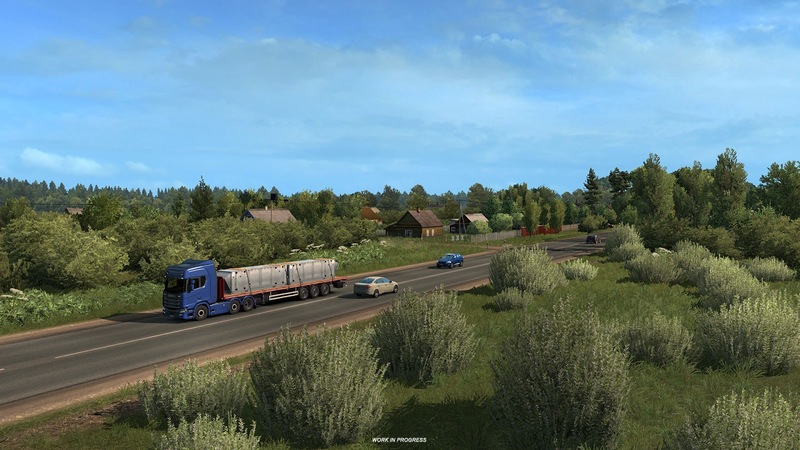 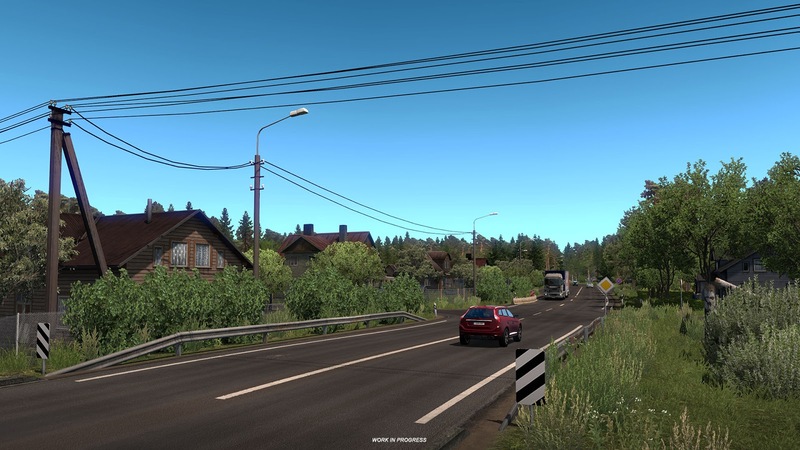 In the previous blog posts covering the development of Euro Truck Simulator 2: Beyond the Baltic Sea (here and here), we have mostly focused on the new industry "prefabs" for industries. 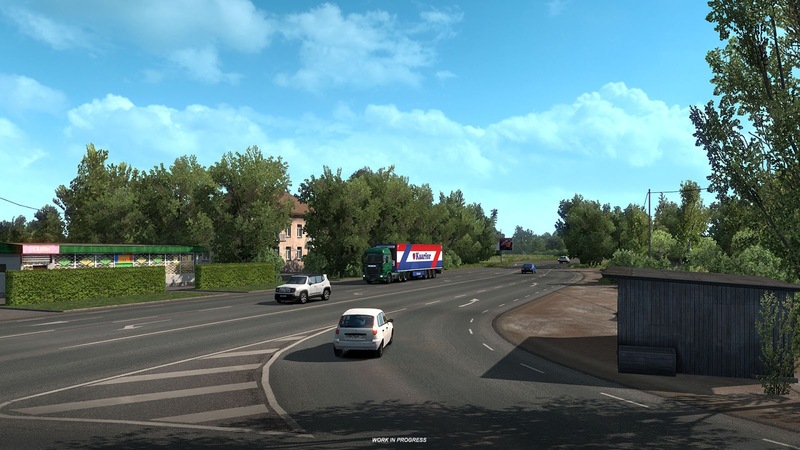 Today, we would like to contrast it by looking at calmer and more relaxing sights along the road, like smaller villages and nature of the countryside. 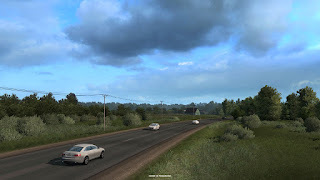 Part of the reason why we chose to extend the gameworld northeast was to increase the variety of the views along the road. We were looking for a change, and the Baltics are definitely very much unlike the previous Italia DLC. There are vast areas crisscrossed by the road network between larger cities, and we do our best to emulate the experience of driving on these roads with the local architecture and small villages. 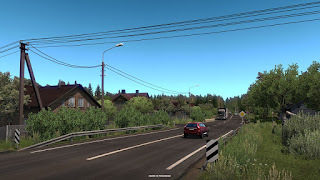 You will need to navigate many narrow village roads, and a ton of our time was dedicated to the many natural beauties that reign in these less populated areas. We have added, adjusted, and modified many of our plants, shrubs, and tree models to get the perfect mix for the region. 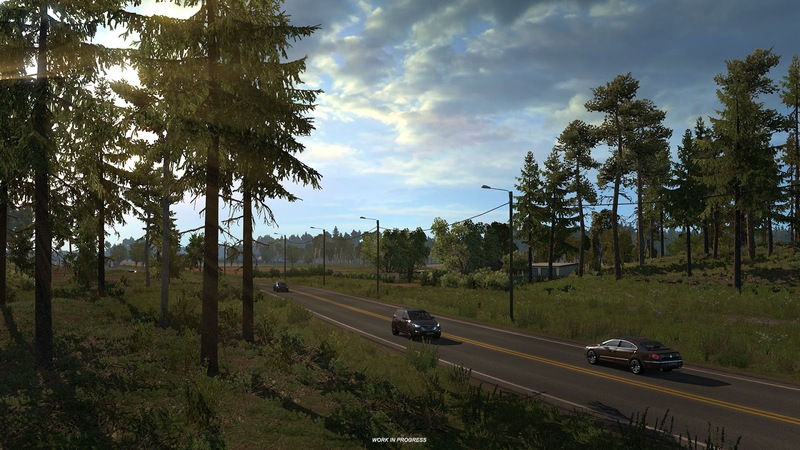 We have, for example, added a revised or new version of pines, birches, cherries, aspens, limes, and oaks. 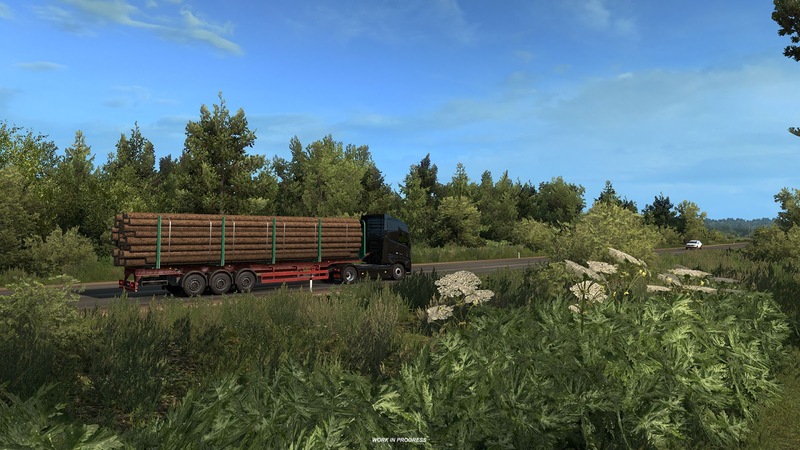 There are also brand new representatives of flora like silver spruce, and hogweed.